The Local 303 Turns 3! 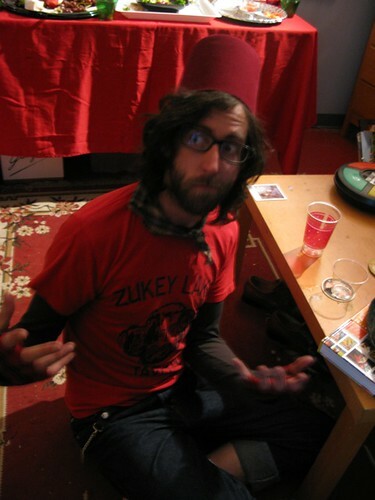 Matt in a Fez, originally uploaded by joshuaellingson. Last week, a few of us from the building got together to celebrate our art space's 3rd anniversary. I still feel like we just moved in, but we've had some great times already. "303" veterans SomaFM played music from their Secret Agent station while we ate fancy cheese and sipped rum punch (it's making a comeback! ).